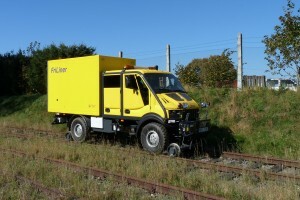 Universal Road-Rail vehicle FriLiner with its quickly exchangeable superstructures is designed for railway track maintenance operations, as well as for maintenance operations on roads, including repairs of OLE equipment, and other operations in heights. 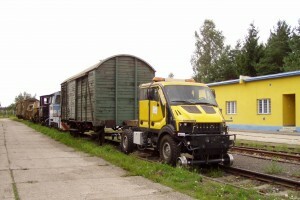 Various superstructures can be installed, such as elevating working platforms, vehicle trailer equipped with hydraulic loading crane, container superstructure equipped with tools and equipment (for maintenance or recovery operations), a variant of railway towing vehicle and other special superstructures according to the customer’s requirements. 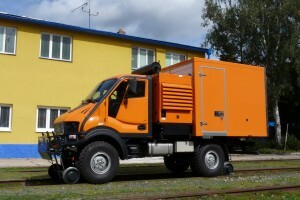 The vehicle can be equipped with superstructures for summer and winter maintenance.